* If you don’t have a paper shredder use pre-shredded paper, paper cut into very fine strips or scrunched-up tissue paper. Carefully follow the first step of the instructions to prepare the cups. Print or photocopy sufficient ‘lion face and paws’ templates for one per child. For younger children you may want to cut out the templates before the session. 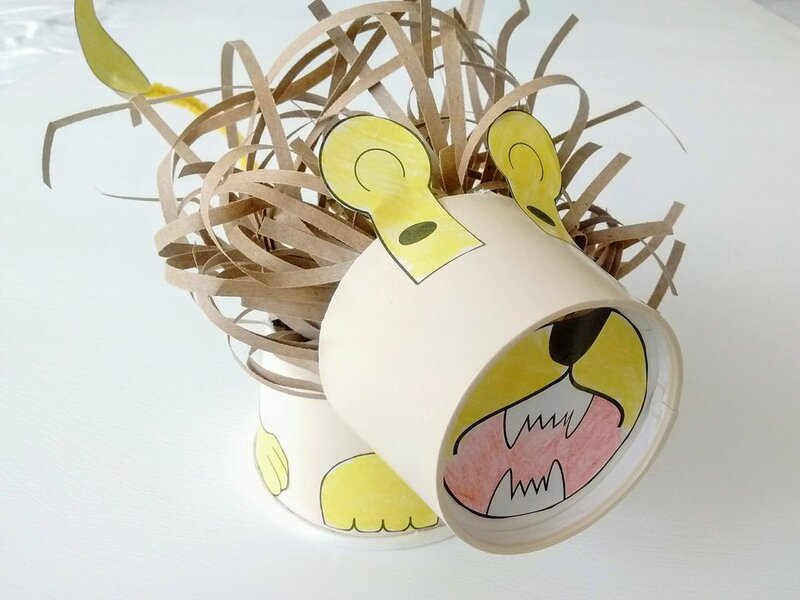 Make a sample ‘lion cup’ so that the children know what they are making. 1. Turn the cup upside down and use a pencil to draw a ring approximately 4 cm from the base of the cup. 2. Stick a blob of sticky tac inside the cup at the level of the line you have just drawn. 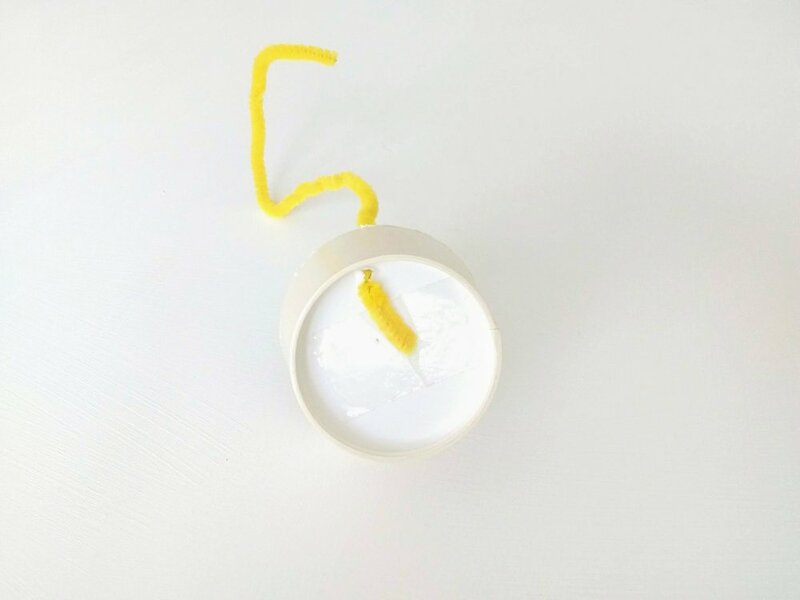 Use a sharp pencil to make a hole in the line by pressing through the cup into the sticky tac beneath. Using the hole as a starting point cut along the line with a pair of scissors. 3. Gently colour in the two sections of your cup. Take the smaller section of your cup and place a piece of sticky tac on what used to be the base of the cup. Stick it to the table in front of you. Use a sharp pencil to push through the base into the sticky tac beneath. Thread the end of the pipe-cleaner through the hole you have just created and bend the tip over. 4. Colour in and cut out your templates. Stick the mouth to the ‘base’ of your cup, covering the tip of the pipe-cleaner. Stick the eye and ear pieces to the cup as shown. 5. Stick the lion’s paws to the larger section of your cup to make the lion's body. Use a pair of scissors to cut a small slit in the front of your lion’s body. Cut a second slit opposite the first. 6. Push the section of the pipe cleaner close to the lion’s head, through the first slit. Leaving about 10 cm for the lion’s tail, push the back section of the pipe cleaner into the second slit. Fold and stick the tail template to the end of the pipe-cleaner. 7. To make the mane for your lion either shred some scrap paper or scrunch-up a piece of tissue paper. Tuck your lion’s mane into the back of the lion’s head. Now wobble your lion's tail to move his head backwards and forwards ferociously.